Merging the benefits of online shopping with the benefits of the physical store is often described as a thing of the future. But here’s a very real example of today. 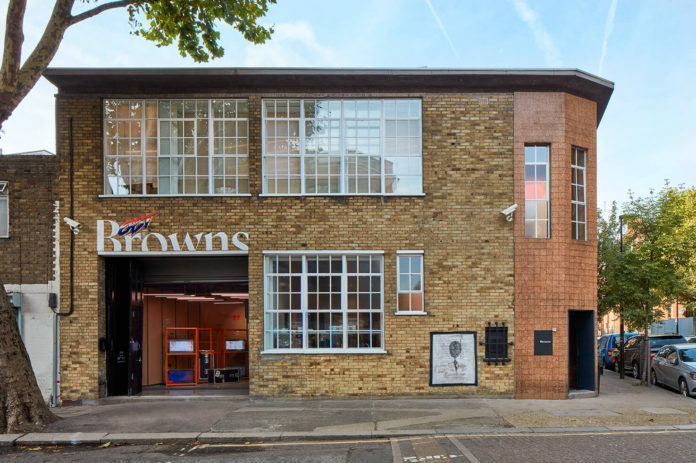 Just a couple of days ago, a new tech infused Browns boutique opened up in London’s Shoreditch district. Like its sister store in London’s Mayfair, Browns East features design brands such as Balenciaga, Raf Simons and Gucci. But the most exciting thing is how Browns are now in the first stages of the Farfetched powered ”Store of the future” concept which will include for instance radio frequency stock tracking. If a customer can’t find an item in store, but finds it online, Browns East can deliver it to the store within 60 minutes. Via the Browns app, customers can tap to let the staff they’re in the store and want help, or opt out by clicking the ”do not disturb”-function. Need another size? Swipe the reflective screen on the smart mirror. When will we see something similar in Sweden? Yes, I’m looking at you @H&M.